Two weeks after the big annual event in San Francisco, Oracle Open World 2016 , September 18-22, there will be another MySQL focused event in Europe: Percona Live Amsterdam, October 3-5. The MySQL Engineering Team and Community Team will be present. 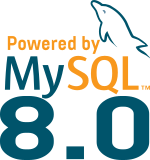 We have submitted a list of very interesting talks, mostly related to the upcoming new major release of MySQL. As you can see, we tried to cover all the main topics and focusing on our new key features like the new support for CTEs, the new data dictionary, Group Replication, using MySQL as a document store with the X Protocol and many other improvements for the future MySQL 8.0 ! so we can test it before talks? The plan is indeed to provide a new GR lab release very soon.